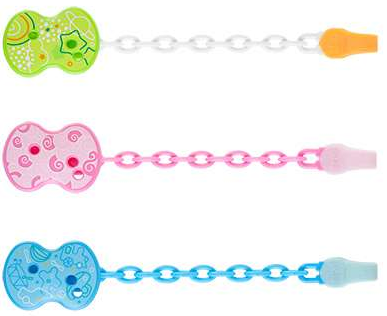 The Physio Soother helps the baby’s mouth and tongue action to develop properly and satisfies their natural sucking instinct. Research on the Chicco Orthodontic Teat was conducted by a Scientific Committee comprising Orthodontic University Lecturers. 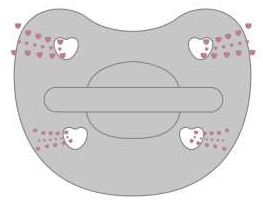 This work group analysed the scientific results and outlined the most important aspects to consider regarding the correct way of using soothers, and the characteristics they should have. The new pacifier with Physio Orthodontic Teat in soft Silicone. Palate Ridges these small reliefs on the tip of the teat are a point of reference for the baby, who places the tip of its tongue in the correct position and pushes it upwards with the correct pressure while sucking and swallowing. 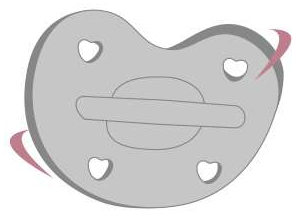 The ultra thin profile on the narrow part of the teat helps the baby to close its mouth correctly, while, in the upper part, the teat is inclined to suit the natural position of the tongue and the correct pressure on the sides of the palate. Hollow Space for The Tongue distributes the pressure on the palate correctly, helping its correct development. 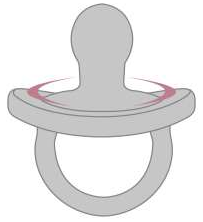 The Teething Ring placed on the narrow end of the teat it gives relief to baby’s gums during the delicate phase when the child loses its milk teeth. The full range of Physio Soft Soothers will help to soothe your little one. Here at Chicco we're passionate about evolving through research, we strive to create the perfect products for you and your baby or toddler. Please read about our Chicco Observatory to see how invested we are in our futures.